The aged Apostle Paul appreciated the value of ministry partnerships—especially with those rare individuals the Lord provided who willingly and sacrificially served the cause of Christ behind the scenes. 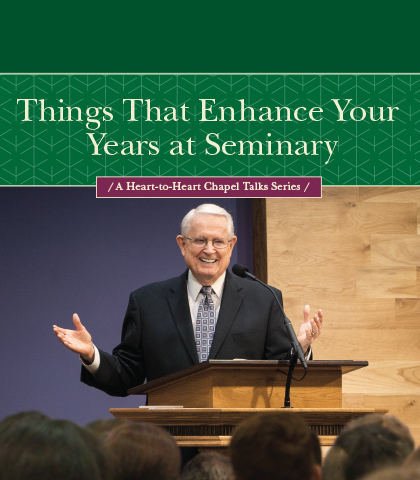 In this uplifting message delivered to the students at Dallas Theological Seminary, Chuck Swindoll encourages ministers in training to invest in people and devote a significant portion of their time and energy to encouraging others in their ministries. Filled with practical tips from his more than 50 years of ministry, Chuck helps all of us tap into the God-given treasure of others and to value each individual as a partner in the work of spreading the Gospel.